Fozzy are always great value for entertainment, be it on stage or for an interview. Rock Sins is very happy to say we once again were able to catch up with one of the huge rock stars of Fozzy on the final day of Download 2017. 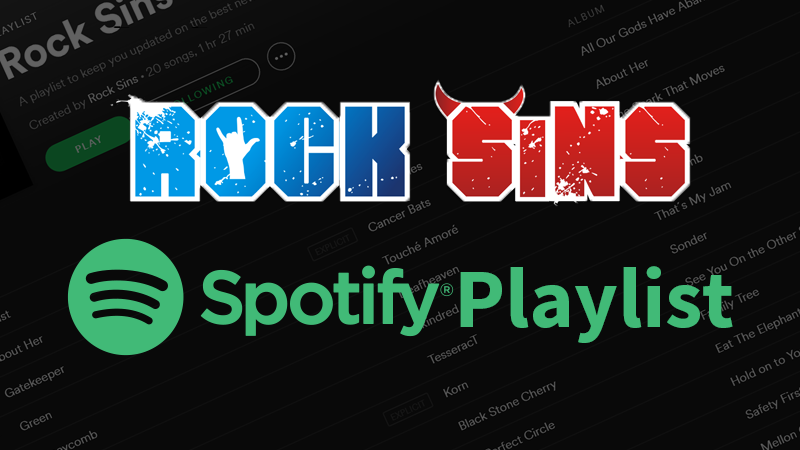 This time around we were able to renew acquaintances with our old friend, Fozzy’s guitarist Rich Ward for the first time in several years for a quick chat about the success of their new single Judas, plans for the new Fozzy album, Stuck Mojo, and more. We’re here with Mr Rich Ward from Fozzy, how are you doing sir? Rich Ward: Excellent! So good to see you again. Great to be with old friends. Indeed! Congratulations on the show earlier, for 11 O’Clock in the morning you had quite the crowd. Rich: Oh it was amazing, you know I was a little worried because Saturday night is the big night and worried about if people will get up to see the first act, but we offered free waffles and it worked *laughs*. Rich: That’s it man, it was great. It was a bigger crowd than the last time we were on the main stage and I’m not the best at guessing but I’d say it was a good 20,000 people. RS: I’m not sure on numbers but that is one of the best crowds I’ve ever seen for a main stage opening band at 11am in the morning. Rich: It was really good. You know, it’s an honour. You don’t take these things for granted. You show up to play hard and you hope some people show up to hear you and when it happens, big win. I think a large part of that may be down to your new single (Judas), you must be delighted with how that has gone. Not that some of your other singles have done badly but it’s just benen picked up so quickly by so many places. Rich: It has. You never know right? You write, and you record records and albums, and you tour and sometimes you have expectations that something should happen, and I just stopped having expectations. I stopped caring about downloads and sales and chart positions, I don’t care about that anymore. And the reason I don’t is because it sets you up for these false goals. The goals should be, make the best record you can, put on the best shows you can, because the rest of it you can’t control. So having goals of things you can’t control it automatically sets you up for this position where it’s hard to succeed. And just when I stopped paying attention to this stuff, something comes along. So maybe that’s what the secret is, to stop paying attention *laughs*. Ultimately, I’ve made some Stuck Mojo and some Fozzy records that I thought have been really good, and you think it was better than the one you did last time and the one you did last time sold better. And I often wonder why those things were. But this is a team sport and the band is such a bit player in it. You have record companies and they have lots of people who work there. Then you have distributors. Then you have labels and distributors in every territory. Then you have press, and agents, and publicists, and your manager and your booking agents and it’s a different booking agent for each territory so it’s a big organisation! It doesn’t take too many slips before you’re falling. People say, oh Chris is a famous guy and he’s got millions of people on social media following him, that doesn’t really mean anything. It’s a great way for him to communicate, but it doesn’t mean we’re going to sell a lot of records. It means we have a path to talk to folks. You don’t know what songs will resonate with the people that follow him. For whatever reason he came off a great run in wrestling, and came off as a beloved good guy in wrestling, and then we came with the single that connected with folks, and we made a video which has connected with folks. RS: I love the Judas video, I think it’s so much fun. Rich: I agree. I love it. So, for us it was a perfect storm of all these things. I think also Chris’s vocal performance on that song is the best he’s ever done. That’s important because it’s the first thing people connect with. Yeah there are guitar players who will listen to what I do or what Billy does but the first thing you’re listening for is the lyric and the delivery of that lyric. Not just how well you sang it but how believable is the performance. Do I feel the lyrics through the expression of who is singing it? And Chris did a great job, he crushed it. That’s why I think the video has done so well. Put him up front and communicating those lyrics right in the camera. RS: And lots of crazy stuff going on in the background. Rich: That’s exactly right, good eye candy! So I know you are doing a couple of smaller shows here in the UK after Download, are you doing any of the other European Festivals? Rich: No, we’re straight back off to the US. Then we’ll have a week off, and then we’re doing a big festival in Seattle. We’re not done with the record so we’re still doing that, but we gotta go back and finish it. There are a lot of moving parts, new producer, learning how to work together and chemistry. RS: Chris’s WWE run from the way it went and the nature of it, I’m guessing was supposed to finish earlier than it did this time as well but because it was going down so well they kept rolling it on? Rich: Yeah, that’s correct. That was a part of the problem because Chris is able to take days off, he’ll do 4 days on and 3 days off and then he could come to the studio and work. So it was more a case of trying to finish all the songs, our producer had other sessions booked, we were going long so he had to jump into some other stuff, so we just had some timing conflicts. But it’s worked out for the best, it’s allowed us more time to refine and reflect. 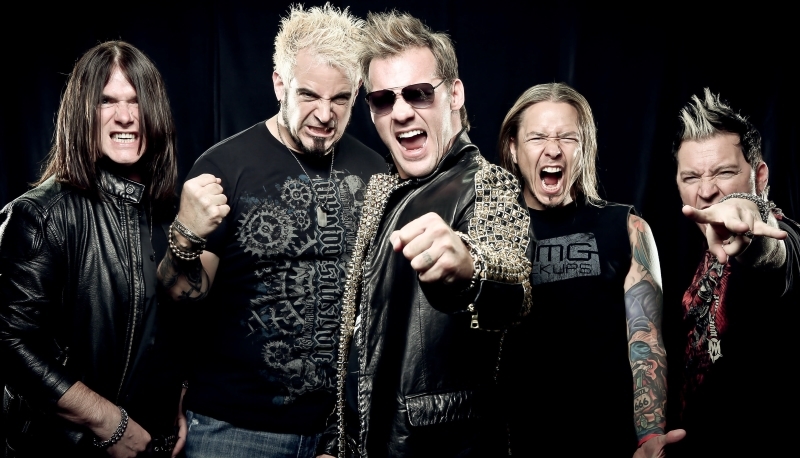 Were the delays around Fozzy and Chris the things that allowed you to do the (most recent) Stuck Mojo record? Or was that already a part of the schedule? Rich: That was always part of the schedule. I asked Chris and said how long is your run gonna last this time and he said through Wrestlemania. So I said I was gonna go ahead and do the Stuck Mojo record and he was cool with it. It’s not that I have to ask permission or he has to ask permission to go back to wrestling or to do a book but we like to talk to each other and work out what’s going on. We’re not just friends we’re also business partners. It’s important to work out scheduling, but more than anything it’s important to communicate. Luckily this time the stars aligned on everything. Tickets are available now from the likes of Seetickets and Ticketmaster.